in two days such an improvement in my skin, the dryness, redness, tightness, on my face is so diminished it’s almost unbelievable! I ordered the soap and a large tube of gel and am so excited after over a year this is the best the skin on my face has looked...Thank You so very much you can expect more orders from me in the future!! Asset to ebay, thank you. SKLEER is great to soothe and restore the skin after eyebrow waxing, see below! It is my 'Miracle' gel! I don't usually write reviews, but when I love a product as much as I love Skleer Gel I must gush! This really is a miracle skin care product. I am 62 years old and still was breaking out with ocassonal pimples. No more, thanks to Skleer Gel. It is a multi-use product. It also takes care of rashes, because I am prone to rashes. Plus a big age spot on my face is fading away! I will never be without Skleer Gel in my home. I am hooked for life! The before photo, she got from the effects of a fuel vapor fire. The after is 1 month and 3 days later thanks to using SKLEER. 2 week old rash not changing, almost gone in 18 hours with SKLEER! I'm not usually one to leave Reviews but this stuff works like a champ! 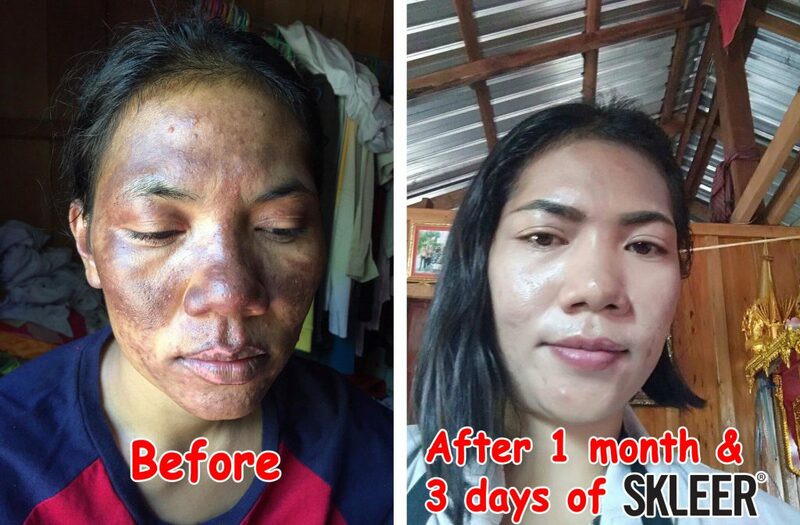 This is the before and 30 days and then 60 days after of a woman who was in a traffic accident, using SKLEER to help the skin restore itself, she was very happy with the result as you can see. This lotion does help my skin, will purchase again! this product was amazing!! got rid of all my pimples! I love this product so much, I’ve only been using it for a few days and my skin is so much cleaner. I’ve suffered from acne for years. I will always have scarring but it’s dimmed it heaps. Just wonder if you have any free samples of Skleer gel that you would be keen to send to Australia as I have heaps of friends who have seen the results and want to try it but want to make sure it works for them before they buy it. arrived quickly + product is AMAZING 💞💗💗 have already purchased more! 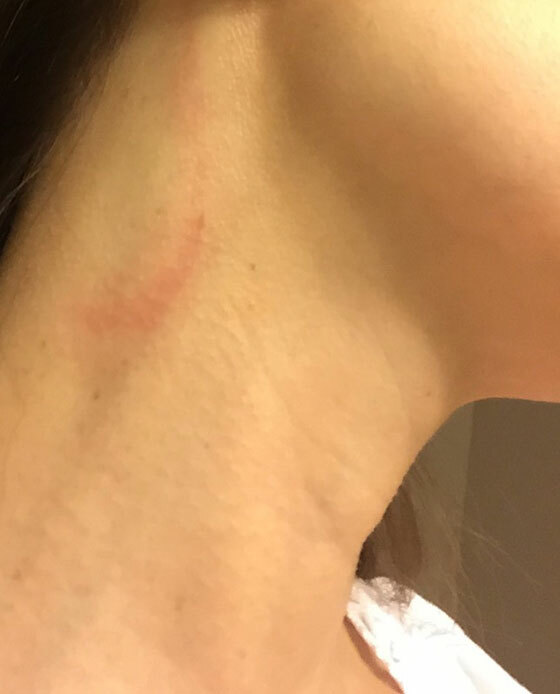 I was bitten by a spider on my neck and it was extremely uncomfortable. I couldn't get rid of the painful itch. I was shocked and surprised how quickly Skleer got rid of the pain, and it's good for my skin, I'd call that a win-win. SKLEER is the best thing in the whole world, we keep it next to the bed. Nurse happy with using SKLEER on her face for getting rid of black spots. Gary, it's [Name Redacted for Privacy]. It's making my psoriasis go away. So you got me damn addicted to the stuff. I had acne at the age of 11 years and have never had a clear skin ever, this had a serious impact on me when I was growing up as I kept myself away from parties and going out with friends as make up looked horrible on me due to acne and pimples. I was put on the contraceptive pills different ones with horrible side effects ,antibiotics, tried scrubs, facials and lots of beauty products and nothing really worked, l would sit and look at a mirror and cry honestly as l my face looked horrible and l began to have a low self-esteem as friend and colleagues would ask me constantly what is wrong with my face. I then moved to Alberton 4 months ago and went into springbok pharmacy, l wanted something that would help me and l came across a lady in the cosmetic section, Her name is Noli Nokuthaba l told her about the issues l was having with acne and breakouts and she advised me to try SKLEER. I purchased one and when I got home and did research of my own as well and l was impressed with the reviews and what SKLEER has done for people with skin conditions and not acne alone. I was shocked to see change in three days.. yes 3 days, l was impressed, took SKLEER with me to work and due to the oiliness of my skin l used it 3 times a day, but then my skin started being less oily, break outs reduced and my skin was smooth, I finally found a natural product that works for my skin and it felt so good. I had never seen my face that clear in 23years, l shed tears of joy as l had to wait so long. My happiness grinded to a halt when l got when l got to springbok pharmacy and there was no stock, I went to dischem and they had no idea what l was talking about, I called all the Alpha Pharmacies and my efforts were in vain, what really disgruntled me more l called customer service Bennetts and was advised that the product is discontinued l was in tears honestly but then decided I will import SKLEER as honestly with the improvement I saw I was not going to through breakouts again. I came across an Australian website that said this is good to use with cpap. I have tried,several and even expensive creams with limited results. After a couple nights, the redness is done chapping has significantly reduced. I use very, very little all over. I am very happy with this product. I did not receive a discount for my review. Just a very pleased customer. Great product. I have dark sun spots on my chin that has lightened after I used this product. Here is another testimonial we received unsolicited from a doctor's office. Here are 7 testimonials we received unsolicited from doctor's offices over the last couple of months. As doctors are known for their maybe not-so-easy-to-read-handwriting we've typed them up after as best we could. I HIGHLY RECOMMEND THIS PRODUCT TO MY PATIENT. pLEASE TELL US WHERE TO GET IT? I'M INTERESTED IN THE PRODUCT FOR MY PATIENTS. I GAVE THE SAMPLE TO MY PATIENT AND SHE'S VERY HAPPY WITH IT. ONE EVEN WENT AROUND TO LOOK FOR IT. ITS NO WHERE TO BE FOUND SO IF YOU HAVE MORE SAMPLES PLEASE PROVIDE. Skleer lotion works perfectly. Can you please bring us some more, progress on the skin is good but the packaging is small (SKLEER has a large 2.5oz-75ml size she was only given a sample size). We will appreciate if you supply bigger packaging and can you tell us where we can purchase it. Thank you very much; and pricing too. Thanks for co-operation. SR (sister) Winnie Muchango. I took a sample of Skleer Skin Conditioning Gel to try it. It works very well on her. Her skin was rough and dry. Now all is gone. - I used Skleer cream for my teenage daughter who has a problem with her skin - has pimples on her face. - Since she started using it her face is smooth; all pimples are gone now and I recommend Skleer. Also to all those parents with teenagers who has problems with their skins like acne. Goodmorning I'm Dudo Turi a sister or Registered Nurse at Hercules Clinic. I used Skleer as I am suffering from eczema. I used it for a week at first and more pimples came out but as the time goes on my skin started to be more clearer. I would like more of the product but I can't find it at my neares pharmacy. I loved this product, in August of 2016 I burnt my right for arm pretty badly, placing the skleer on my burn did wonders.of course I do still have a scar but I couldn't imagine what it would look like if I hadn't used the skleer. This is the only skin treatment product I have ever reviewed due to it's remarkable effectiveness. Used it on irritated, oily,dry,discolored areas, insect bites and much more. It has been effective on all, unlike most other treatments. Please try it and suffer no longer----works within hours! I know you will be pleased. Hayley - 3 November 10:47 - Hi. I live in the UK and have purchased this through eBay from Australia. It was the on,y thing that managed to get my perioral dermatitis under control and my skiing back to normal. Hayley - 3 November 10:47 - Can I purchase direct from you and post to UK? skleer - 3 November 10:49 - Hi Hayley. Very glad to hear of your good results. skleer - 3 November 10:51 - Excellent to hear that. Do you have a paypal account? skleer - 3 November 10:54 - Does that work? skleer - 3 November 10:57 - Great. Thank you so much! skleer - 3 November 11:00 - Thank you, you too! I was advised to contact you via your live chat. I'd like to place an order for six tubes of gel please. I am so impressed with this product. I really was at my wits end with a terrible bout of perioral dermatitis that I'd had for 6 months plus. I'd tried everything, but this worked and the fact that it's a natural product is fantastic. Thank you so much, I don't know what I'd have done if I hadn't unearthed this in my research. Once you invoice me I'll forward payment. I was given a sample of skleer by a friend. My 4 month old baby has eczema on his face and I tried it and almost immediately I could see a difference. B is over the moon with the tube of skleer cream...as you know she has acne and she is now so worried she will not be able to get more. Please tell M that after only 3 days the marked improvement to not only the touch (softer) the look glowing, BUT THE HEALING. All the little spots have gone. We both need more where can I buy it. I have told her to show all the girls at the church paste it on FB but need to know where to buy. Kindly send me your wholesale prices for your gel. I want to stock it in my boutique in Namibia. I'm based in the south and the sun is really strong so a lot of people struggle with blemishes including me.Ive been using SKLEER gel for 4 days and I see some improvement. 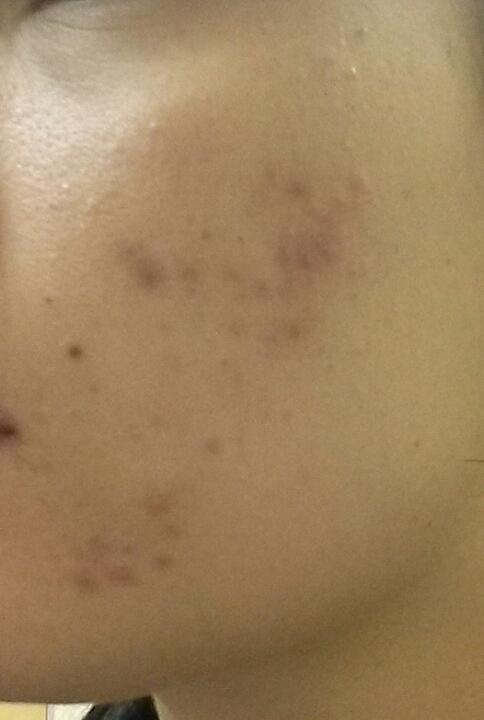 I believe in 2 weeks the stubborn blemishes should clear up completely. On a personal note, I LOVE the cream I have been using the sample on my leg for bad eczema and overnight the redness and itchiness has gone. Fabulous. I couldn't believe me eyes. After a 13 mile run with some new running shoes I got one nasty blister. So I decided to put some of the Skleer on it as it was red and painful. I massage some onto my sore feet as well. The next day it was as if there never was a blister at all. The skin around it was tight and no loose skin to take off. It just disappeared as if it never existed. Thank you for the samples they really came in handy. I will recommend to my running group the L.A.Leggers to use it as well. As runners we are always looking for relief from chaffing as well as blister. Please provide me with the website so I can share it with my co-runners. I wanted to let you know I tried the Skleer Gel and it worked perfectly on a heat rash I encountered while performing in LA during a recent heatwave. Just after a few applications and a couple of days, it was completely gone! I would highly recommend this product, and the fact that it has all natural ingredients is a bonus! We received our Skleer today. Thank you! My staff and I tried it on ourselves and I've made little samples for the girls to take home and try for a few days. One of my sugarists applied the Skleer on her client after sugaring her eyebrows. The client responded very positively. Not only did she say the sting went away immediately but, by the time she walked out of the room her skin had gone from bright red to barely noticeable that she had anything done. So far we are very impressed!! Skleer is a beneficial product that moisturized my face making it feel smooth and lightweight. Carlo has been using the cream for about 5 weeks and the brown spots on his face have faded to clear skin !!! We are very happy with this result and we recommend SKLEER to everybody with the same skin condition! See what many many bloggers are saying about SKLEER! Just wanted to check in and let you know what I think of the Skleer product you sent. I've used it several times now, and I must say it's really effective! I suffer from really bad allergies around my dog (yes unfortunately, my own dog!) and my skin actually breaks out in hives and itchiness when I touch her. I've used Skleer immediately on the skin, and I find it's so effective at taking away the itch. It still takes the usual time for the redness to go down, but I have definitely noticed a difference in the itch and discomfort of the allergies. My mum suffers from really bad dermatitis on her hand, and she has found by applying everyday that the itchiness is also reduced, which in turn makes the skin look a lot less nasty because she is less likely to irritate it further. I found the gel a little bit drying when used on my face, so I probably wouldn't use it for reasons like pimples or blackheads, but I can see how effective it may be given that it contains tea tree oil. Overall I think its a great multi-purpose product and it would be perfect for taking away camping or on a holiday. Thanks a lot for introducing me to the product Kevin, and I will be posting a review on my blog in the next week. 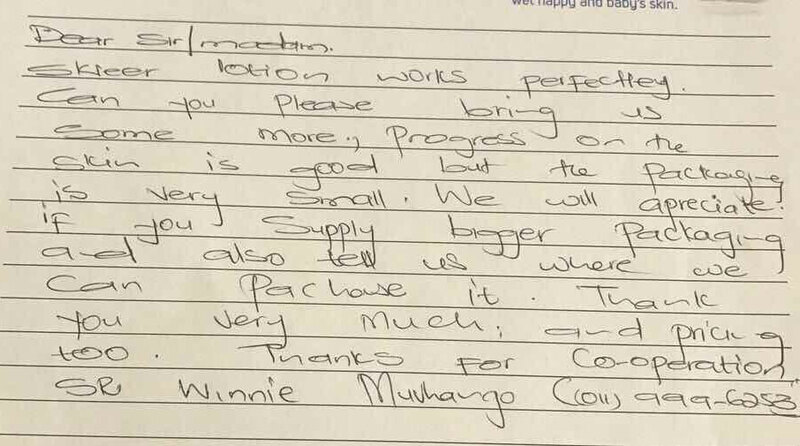 Unsolicited testimonial about SKLEER working successfully on acne on a 12 and 14 year old by a woman who was so desperate to get hold of the product that she went all the way to the Bennetts corporate headquarters who are the exclusive distributors for SKLEER in Africa. SKLEER - Marco from Alexander Pharmacy in South Africa talks about the demand for many skin conditions - black marks, blackheads, aging skin. For years I have been suffering with peeling skin on my feet. I have tried numerous different products but nothing seemed to help. I decided to use SKLEER on my feet and the improvement is unbelievable. They no longer have that flakey look and have improved dramatically. I can really recommend this wonder product. Brilliant gel for pimples, blackheads, sunspots.......etc! Margie Cameron Bauer I am utterly amazed! Have bought my second tube and I am still applying it every day. My friends and family have already commented on how much better my face (and particularly a nasty red spot on my neck) is looking. I am a fan for life!! Thank you Skleer! Skleer Fantastic news and very glad to hear that Margie! Thank you for trying and now using Skleer. I have a 4 month old little boy, and he has quite bad eczema on his legs, back and stomach, I've tried everything and nothing works! Does skleer work for eczema? And do you have any samples I would be able to try on him as I'm not sure what will work! And if it does work, then I would be able to use it on him! 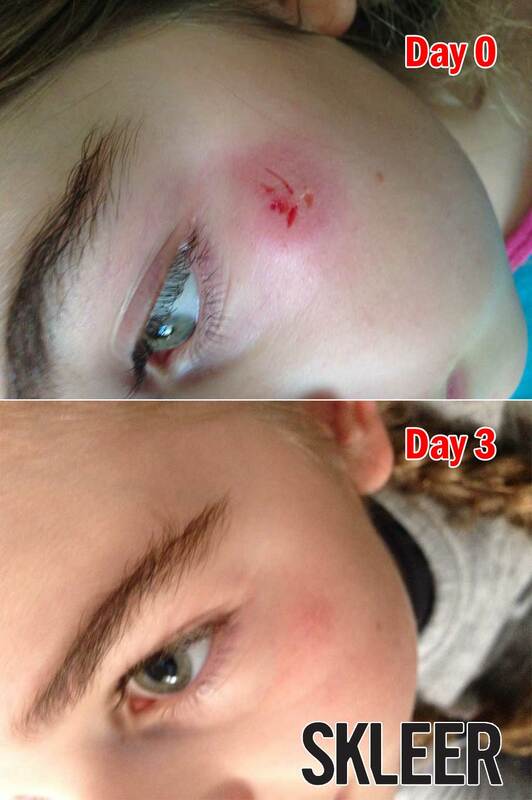 Hi S[name removed], yes it does work for eczema, I have attached a picture of a before and after of a little girl in Australia who used it a couple of weeks ago. If you look on our testimonial page, you can see the reference to it, I think at the moment it's the third testimonial down: http://www.skleer.com/southafrica/html/testimonials.html, thank you very much for your interest in SKLEER, regarding where you can get samples or buy SKLEER in your area, please send your telephone number and email to info@skleer.com, we will have someone call you directly. You can also contact Morris Bennett or Angie Van Staden with Bennetts, as they can help you with that. 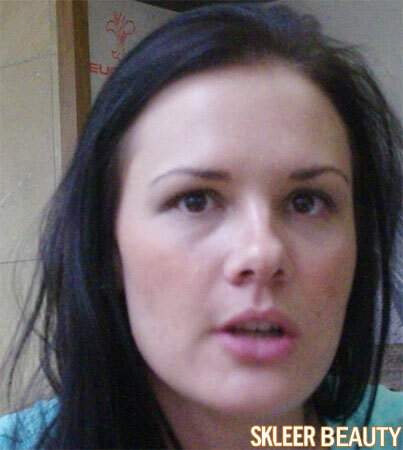 Morris Bennett number is 083 630 6697, and Angie Van Staden +27 11 608 3733. Morris's email is morris@colic.co.za and Angie's is angie@colic.co.za. If you want to buy online, SKLEER is also now being sold online in South Africa at Takealot.com, for a very low price of R58, plus R35 shipping, we are not sure how long this price will last. They deliver right to your door in 1-2 days for this price. Last night I burned my hand on an extremely hot piece of pita as I pulled it out of the toaster. Screaming in pain I immediately smothered skleer in it twice within an hour and the pain went within minutes and today no sign of my burn. 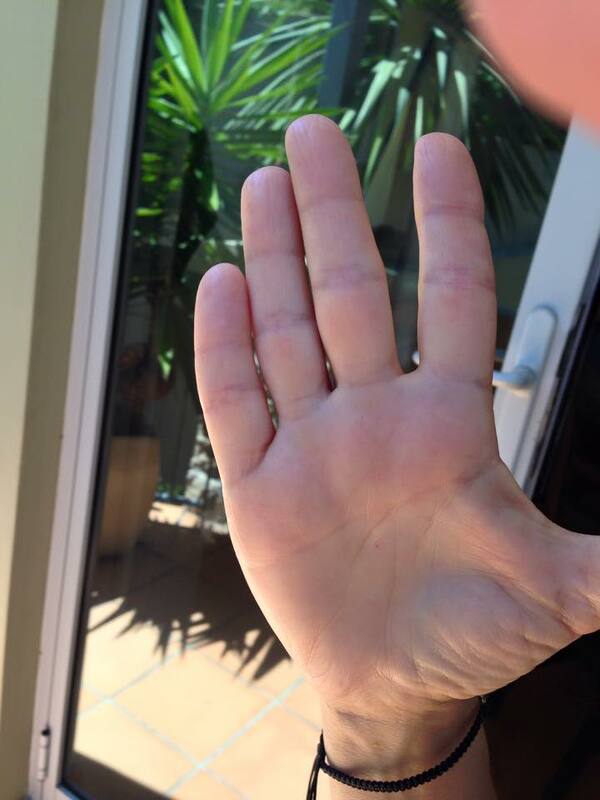 My hand, perfectly healed thanks to Skleer. What an amazing product. Hey Gary happy new years! Hope your having a wonderful day 🙂 I tried your face gel. Im absolutely in love with it. Lwts get together after the holidays! Yes you definitely can use it on your website. I absolutely love it. I saw a difference over night. I burnt my palm and fingers on the coils of my stove. The pain was like nothing I have experienced in my life. I thought I would have to go to the emergency room. My brother in law had some skleer and insisted I apply it at regular intervals. The next morning it was so much better. I applied it several times a day for a week. 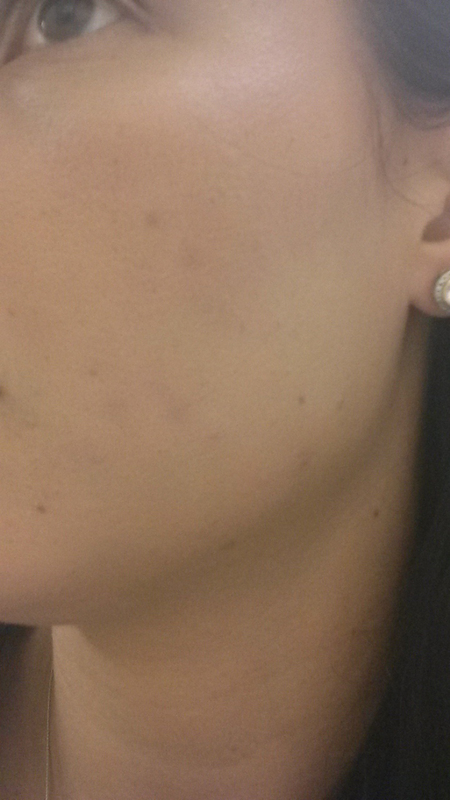 It got progressively better daily and today is day 8 and there is hardly scarring. I would recommend this amazing product! 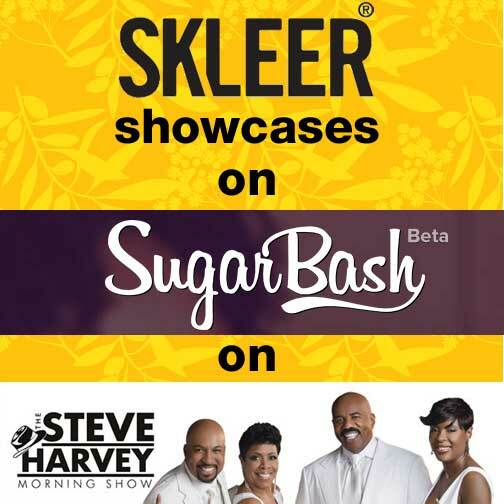 Good Morning, my husband received a sample tube of Skleer at a Golf Day. I have been using this on the back of my hands as I have/had sun and age spots. These have nearly completely disappeared. Where can I obtain this product? I live in Gordon's Bay, Western Cape so any outlet nearby such as Somerset West / Cape Town would be good for me. I just want to tell you how "Remarkable" this Product is. Since I started using CPAP I had dreadful Skin rashes everywhere on my face where my mask touched my skin and my skin was scratchy, bumpy and extremely red. I had tried using some aqueous creams but they were not helping. I battled like this for numerous weeks until someone mentioned to me about SKLEER Gel. I started using Skleer Gel 3 times per day and as soon as I used it I noticed that my skin was not so inflamed and the redness was calming. I persisted with this for nearly two weeks and by that time my face was normal and I was back to my customary glow. All I can say is a very big thank you for this product as it has changed my life and I am much more compliant now on my CPAP therapy. I recommend this product to anyone. I agree that Skleer is a fantastic product. We will certainly escalate focus with immediate effect. SKLEER on an insect bite. After getting bitten, the bite was swollen and extremely itchy. After applying SKLEER one time, the bite was no longer itchy and I forgot it was there within about 15 minutes. I only applied SKLEER one more time, and by the 2nd day it was gone. Amazing results of SKLEER on a dog bite in just 3 days! 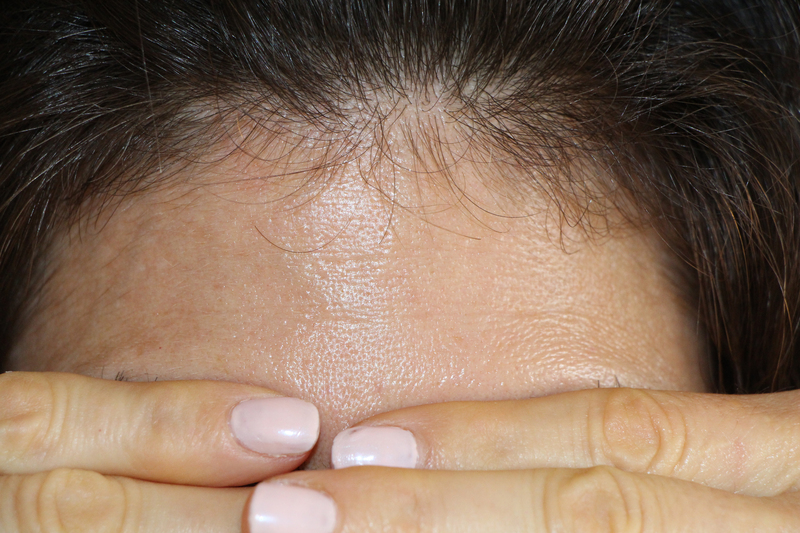 Here is the picture of the forehead of a 40+ year old female (she won't give us her age 😉 ) where SKLEER has removed the deep wrinkle lines from her forehead in a period of 2 months, unfortunately we don't have a before on this :(, but it is remarkable as we did see her before! Brilliant cream! After using it for less than a week I saw a marked improvement in the sun/age spots on my skin. See the 2 email correspondences below to explain the before and after pictures. NOTE: Look closely to see how much redder and swollen the back is in the before picture. Here is the before photo, You can see how red and irritated his skin was. The roughness has even gone away and his skin is smooth now! Please find attached the after photo of my son, please if you do use the photo can you crop it so you do not see his bum! I will sent the before one to you now. 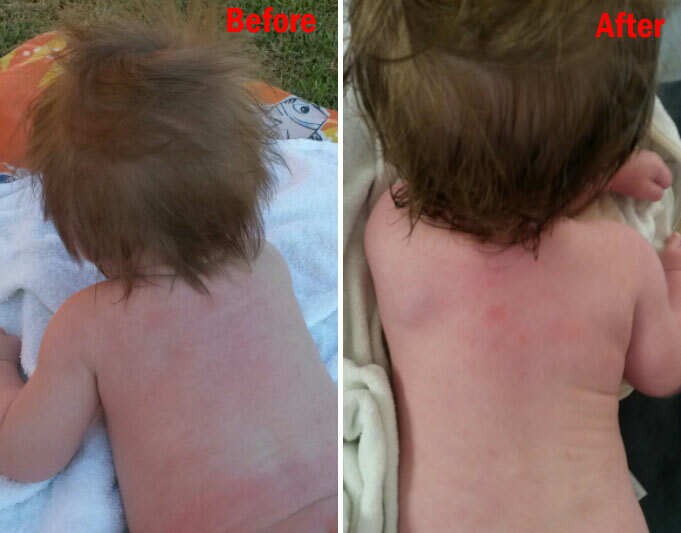 His eczema keeps on looking better and better the more we use Skleer! I am in Namibia and got hold of a few Skleer samples. I think it is a wonderful product! Where can I purchase more? Do you sell in Namibia? FYI - I discovered another great use for Skleer. Tattoos! With the latest tattoo to my collection, I used Skleer instead of my usual goo. Four days later it was completely healed! I had a really deep cut on my thumb and I was really worried about it healing. Upon a friend's recommendation, I tried Skleer and was amazed at the results. Within a few hours I already noticed a difference. In a day, the cut had completely closed, in 2 days I could hardly notice it and within 3 days it had completely healed. Amazing! 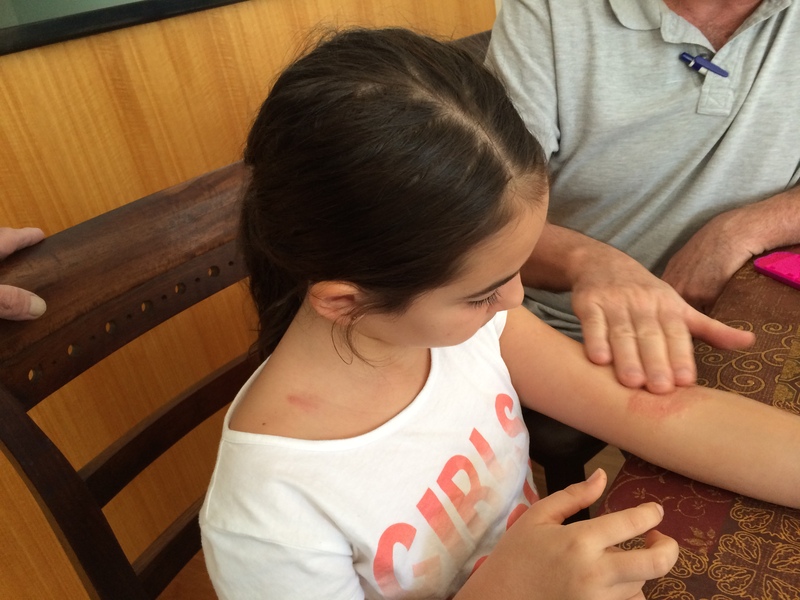 Tayla who lives in Australia has had this skin appearance on the top of her elbow since birth. Now look at Tayla's arm on Day 0 versus Day 7 of using SKLEER. The Story of Marissa, one of the first users of SKLEER. Click this to see and hear her story. Skleer works! My son believes in it. I recently purchase a 30 ml tube of Skleer at the Sunninghill Pharmacy, Johannesburg, and within days am impressed with the results. I am treating sun damage on the lower arms. I'm sold... I love this product!!! PS I love Skleer and would like another bottle! I love the feeling of SKLEER on my face and how it tightens my skin. I use it for my old acne scars. Worked brilliantly. 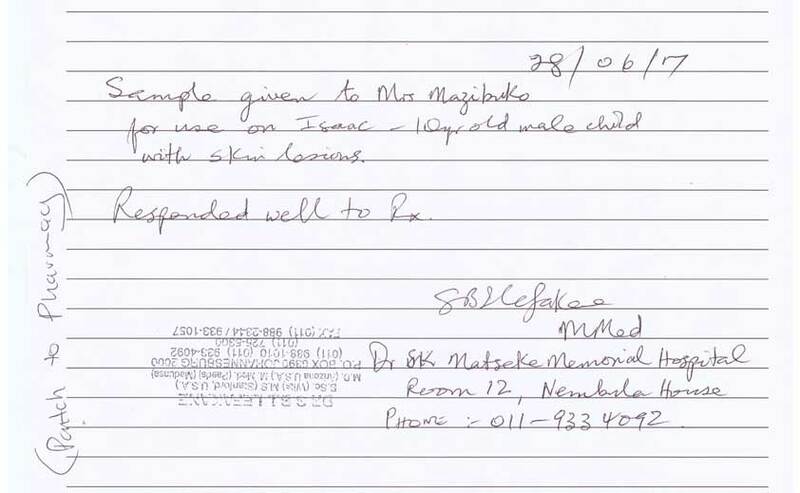 Siphiwe's (pharmacist) daughter suffers with eczema - usually takes 2 days to clear with the help of Skleer. When her daughter scratches herself while playing, she asks mommy for her medicine, ie. Skleer :). 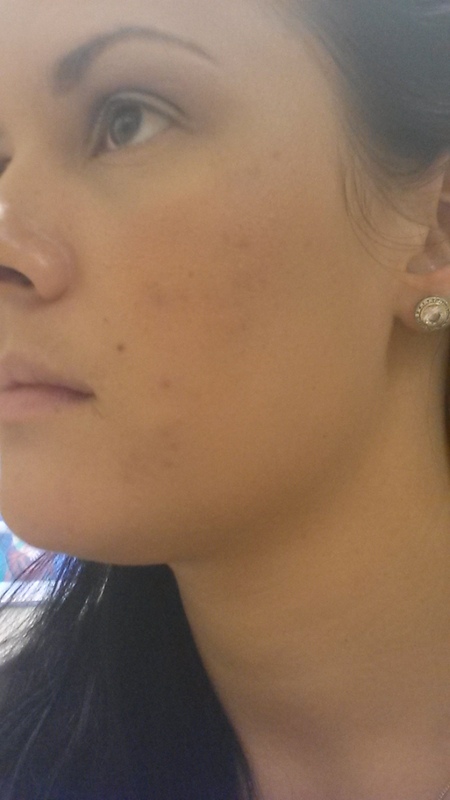 Majority feedback from customers relates to spots and pimples - very positive. 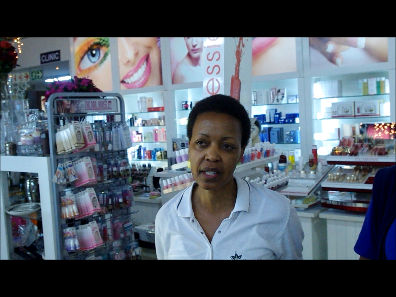 Bonnie who works at the cosmetic counter said she is impressed with Skleer - her daughter suffers with fever blisters, which usually take +/- 4 days to clear..since using Skleer, healing time has been cut in half to +/- 2 days. Noli who works at the cosmetic counter said she was teased constantly and at one stage did not have a lot of confidence due to her skin being very dark with a lot of marks and hated having photos taken. Since using Skleer, her skin has improved drastically, has regained confidence and now easily poses for photos. She said she receives proposals left, right and centre. She loves Skleer. Daddy, my arm is itchy underneath because a mosquito bit me, please will you get the SKLEER. It is namely SKLEER, wow what an amazing product, we have been using Skleer for approximately 2 months now, it has made a major difference to my skin, I am 61 years of age, my colleague who had to see a Dermatologist for her skin, however after using Skleer she does not even have a blemish on her face, I am so impressed that I don't even have to wear Foundation anymore what a bonus!! Okay...thank you...will do in the morning....that's a very reasonable price....my sister has had wonderful results since using it...thanks, will def be placing an order! Just would like to say "Thank you" for the sample you arranged for my daughter. I cannot believe that you arranged it so quickly, in 2-3 days from SA to USA, wow that is outstanding! To top it all, she just sent me a message to say that she received it and that it works fantastically fast. She is extremely impressed. I will surely tell people about it here in SA. Thank you so so much. I'll contact him as soon possible. As this is one of the best products I've used, with awesome results. 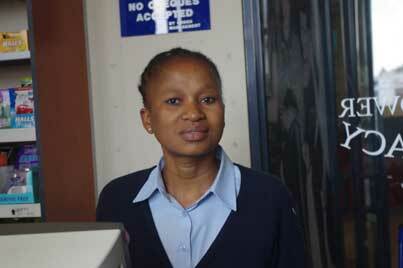 Lebeko (Teresia) had a very resistant case of acne throughout her life where nothing had worked. Thank u for ur help! They gave me a sample to try at lazerderm,and I found it to work AMAZINGLY!! I want to commend you for an excellent product that you've put on the market. I've been using this cream for about three weeks and WOW if ever there is a product on the market that says what it says it will do then SKLEER is it. I am over fifty and my skin has become a bit dry and the nose area is oily it has cleared those areas and my skin has taken on a glow and it is looking very health. It also seems like my skin has tighten up as well. I have been complimented lately on the "healthy look" and I have been telling my friends about this cream I happen to come by "per chance". I have been around enquiring about Skleer to buy some but to no avail as the pharmacies in the Cape Town area have not heard about it. Could you please advise me as to who the stockist is of your WONDERFULL product SKLEER. Yes I received it - I didn't use the product on myself. I gave it to my cousin whom has very bad skin and within a week he could see the difference. According to his mom she was very impressed. Yes i received my prize. Since i have been using it my skin is just so much smoother and not as dry and scabby as normal. I have a very problematic skin and cant use most creams on it as it breaks out in a open skin rash. Thank you soooo much for my prize and opportunity to test your product. Im well thanks, how are you? Wow i truely cannot believe the difference in my boyfriends hand, it is almost healed, there maybe a scar but nobody would believe it was a burn. A truely remarkable product, and we will certainly continue using skleer. So sorry. I posted on the wall but I did not email you to say thank you. I am very impressed. My son had a huge accident a while back and he has this huge scar on his forehead. Skleer is slowly but surely making it go away. Hubby said he wants to try it on his skin. He has marks on his skin since he was a teenager. Will let you know how it goes. I have received my Skleer product. Thank u so much! I can definitely see a difference on my skin (old pimple marks etc). 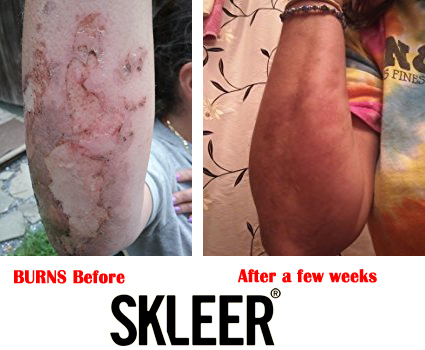 I have personally used the product, and found Skleer to be effective in relieving dry and itchy skin. I have found Skleer to be active in treating my children's problematic acne prone skin. I have seen positive results (clearing of acne) on my daughter and son, both teenagers. Karen Engelbrecht (Buying Manager) spoke highly of Skleer in her personal capacity as she found the product to be most effective in treating acne on her children. My husband had some sort of rash which looked a bit like ringworm. 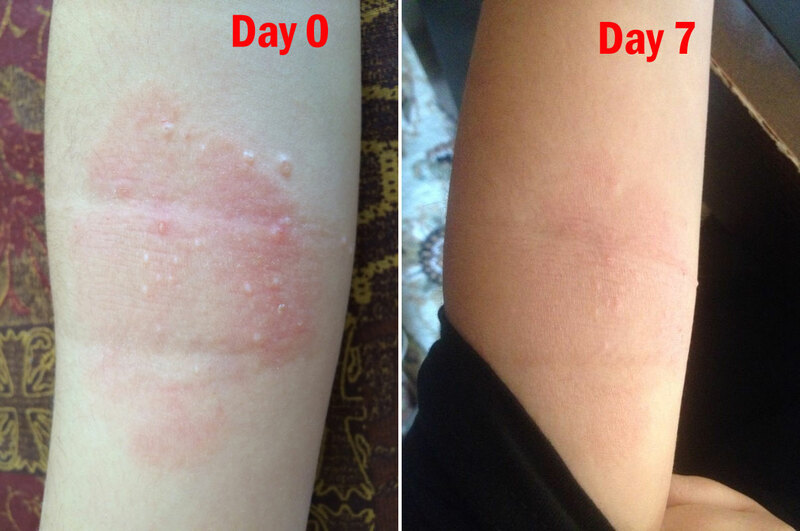 He applied Skleer daily and within 3 days the rash disappeared. This is a wonderful product and I love the fact that it is all natural ingredients. I have just finished my very first tube of SKLEER and I am so impressed with the results. First of all, my background being in the fashion/beauty industry for over 25 years, I have tried many products. At the age of 14, I decided to begin using skincare religiously. Coming from Australia, I moved 13 years ago to Switzerland. The climate, water, air- everything was different and so I had to constantly adjust my skincare. With new technology many products have tried to sell themselves as a miracle. However most of the time this is just not so. I have my skincare regime perfected and as I am a huge fan of serums under my moisturizer I substituted SKLEER gel as this and then proceeded to layer my skincare on-top. As I have dry skin, the last step at night for me is a great heavier moisturizer that locks in all the goodness while I sleep. Daytime I did the same, however my last step was always a light SPF.. I have always had great skin. So for me to see any positive, visible results-the product has to be extraordinary. Let me say that I was hugely surprised with the results of SKLEER. Using it morning/night as my first step I could see results the second day of use. My skin looked and felt extremely rested, even and perfected. Since finishing the entire 30ml tube, my skin is even firmer than before, adequately moisturized and any tiny imperfections that I thought I had are in the process of disappearing. All I can say is do not fall for other products marketing! The best products that your skin can positively react too is from nature itself. Sure many products are in glossy magazines and advertised by beautiful people but honestly they are not worth the money as they simply do not deliver their promises. SKLEER is amazing and I am happy to promote it to anyone who asks me what am I using on my skin as it looks that good. Starting my second tube tonight. Will write another review as soon as have finished it... 🙂 HAPPY GIRL! See her review on facebook! 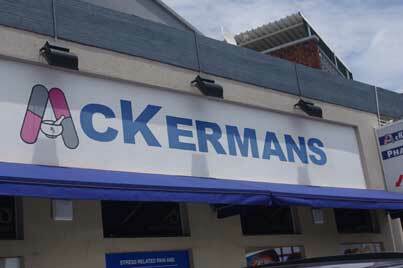 Ackermans Pharmacy: I initially delivered units to them several weeks ago after a mom came in requesting the product for her son who burnt himself. The only info offered to me was that the product seems to be working, however they did not have any testimonials to offer. Wendywood Pharmacy: positive feedback regarding acne and blackheads. Medicare Parkmore: Helen (staff) gave samples to her two kids who suffer with acne and noticed and improvement. 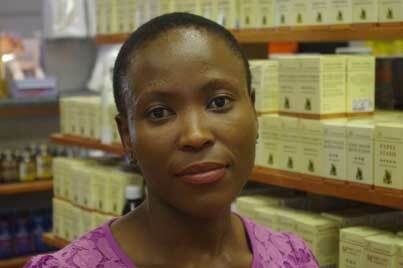 Manor Pharmacy: Positive results found - customers suffering with acne and blackheads. Husteds Pharmacy: Results from clientele who have tried Skleer - clearing of acne, blackheads, lightening of uneven pigmentation. Monica made special mention of one customer who had an inflamed and infected sore on her foot - after having given her a sample of Skleer, the lady returned to show them that the sore had healed. Galleon Pharmacy: Positive results found with unfavourable symptoms such as acne and blackheads. 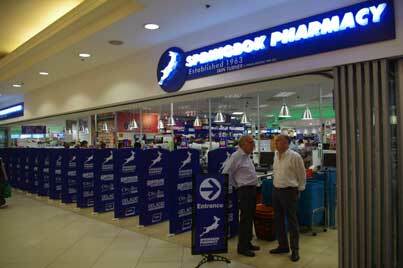 Killarney Mall Pharmacy: Sia has been receiving positive results from customers relating to acne and blackheads. 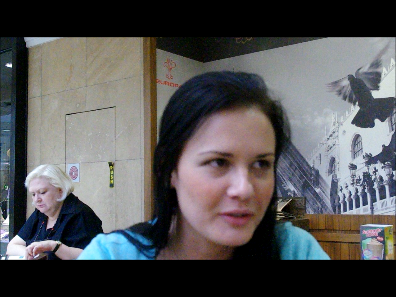 She referred me to Marissa who had many positive things to say about Skleer. Marissa Geel has been following Skleer on Facebook since being referred by the Bennetts page (Skleer competition). She has been monitoring the positive comments being posted and decided to collect some samples downstairs from Sia. Attached is before and after photos of Marissa (see next post)...the before photos were taken on a Thursday and the after photos on the Monday thereafter. 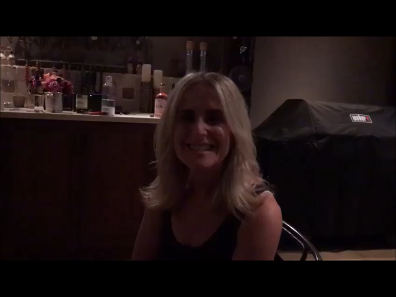 She is impressed with Skleer and speaks highly of the product after having tried many other skincare treatments most retailers have to offer. Very excited to check back and give my feedback after finishing my second tube of Skleer which I use morning / night. My skin has been consistently glowing and healthy. It continues to look rested and even. Having dry and thirsty skin, Skleer has enabled my other products to work even better day by day. Usually I would use a mask 3x a week. I have noticed that using Skleer, this has been cut down to once a week if I wish to give an extra moisture boost to my skin. Living in Switzerland, the air is very dry and the water full of hard calcium. Using SKleer has definitely made this problem much better. Very happy with the results and will continue to use Skleer as Fall/ Winter arrives. Other people have noticed too and I am asked continuesly by friends, colleagues and even strangers what I use. In fact, I was stopped just a few weeks ago by a woman who was gushing about how glowing and beautiful my skin looked and she apologetically wanted to know my secret. The very interesting part of this conversation is this woman turned out to be someone who is in the cosmetic industry for over 30 year, representing a very well known, huge cosmetic brand for the entire European region. She has over the length of her 30 year career seen many people from models, actors and for her to approach me with the question.. "Please tell me what you use on your skin as it looks fabulous" is one of the biggest compliments I could get".. I do use other products in conduction with Skleer, however I really believe that since using Skleer my skin has become more beautiful, receptive and glowing. Starting on my 3rd tube tonight..
We had a gentleman by the name of Sizwe came in yesterday to buy a tube of Skleer. He said that a friend picked up a sample from somewhere on Main and Culross - this is the street address where Weleda Bryanston is situated, so I am assuming it is from there. 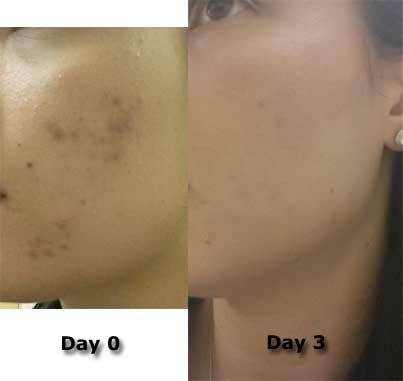 He noticed results within +/- 5 days - clearing of acne. I gave him my business card and asked him to keep us up to date with his Skleer experience. I've just spoken to a gentleman situated in Soweto by the name of Bheki. 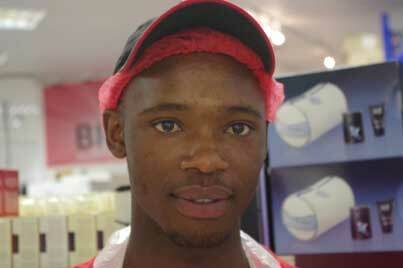 He picked up some samples at Mangalani Pharmacy in Soweto. I have advised him on the various distribution channels - he said he will go to his local pharmacy and ask them to order. I have also given him my email address to keep me up to speed. 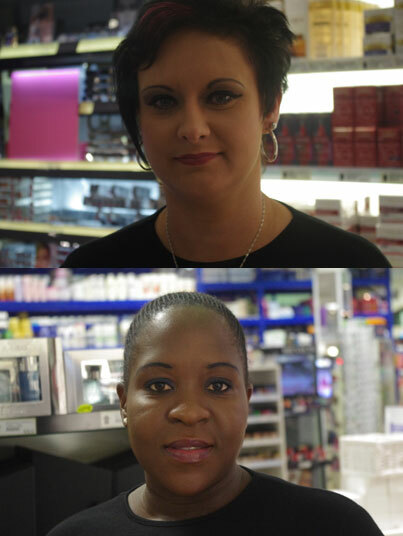 Results found (Springbok pharmacy employees): clearing of acne, minimising blackheads and reduced inflammation of usual break outs around the chin area. Hope this email finds you well. Is Lebeko Teresia Maenetja, I sent you an email on Thurday about the product of SKLEER and I appreciate your colleague returned to me telephonically. The good news is, I see positive feedback on the product, all the open pimple are closed and dry, now am looking forward to remove the spots. 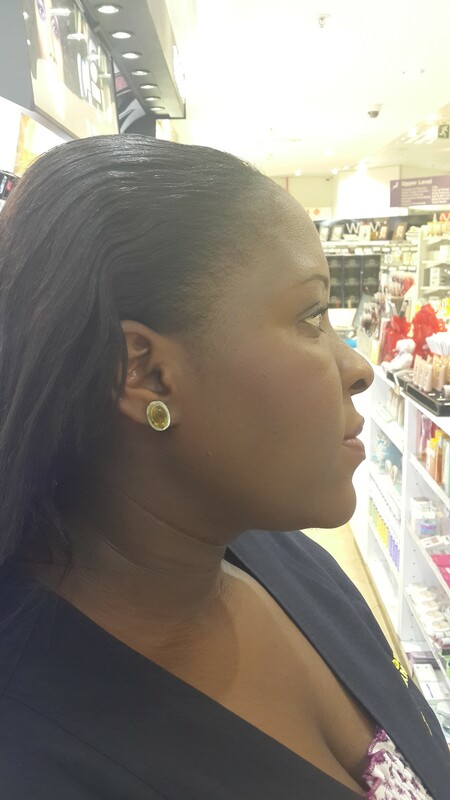 My skin started to develop softness and the tone (colour)is coming back because I ws burnt by other products. Hope you don't mind if I keep you updated as I've been trying many products but no luck to my problem. SKLEER is amazing. I can't let it out of side. Received it on Thursday, I love this product saw a difference the same evening! 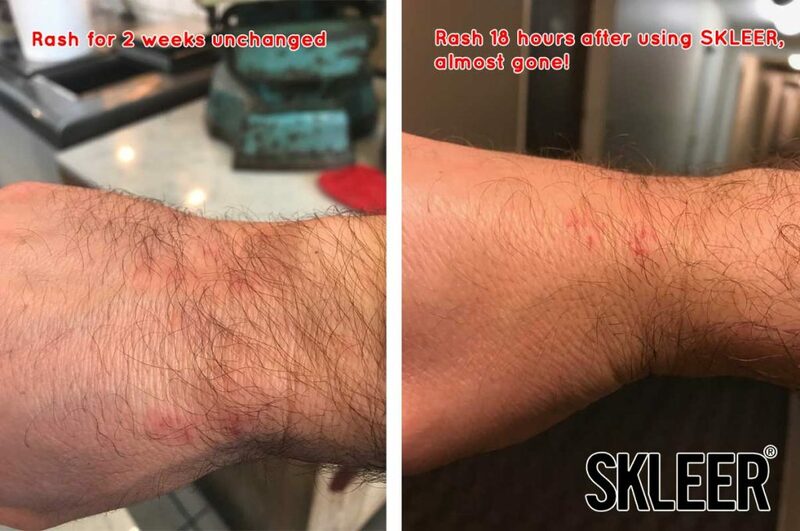 I used Skleer on my blemishes and pimples and was blown away on how quickly they went away. In the past I have used a number of expensive skincare products that over promise and under deliver but your product really works, with amazing results! What a great product… Thank you!! Testimonial from the Weleda Bryanston outlet – pregnant lady was suffering with heat rash under her breast area which was alleviated by Skleer. Pharmacies within the Sunninghill area are receiving positive feedback – one customer in particular is looking for a Skleer hamper. 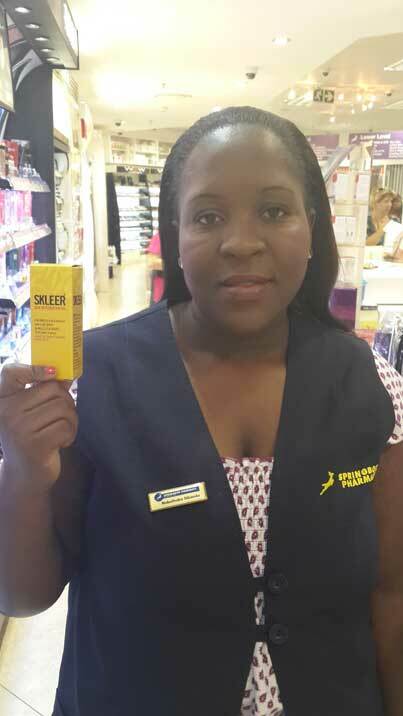 Siphiwe (pharmacist) has used Skleer on her 3yr old daughter for cuts and grazes as well as dry skin between her fingers and has seen positive results. 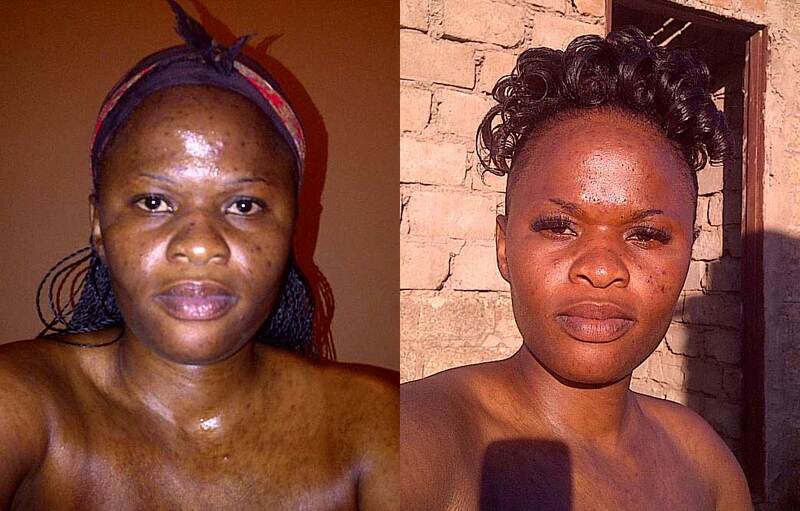 Siphiwe herself has noticed an improvement with the lightening of dark spots. Many customers are noticing results regarding acne conditions in particular. 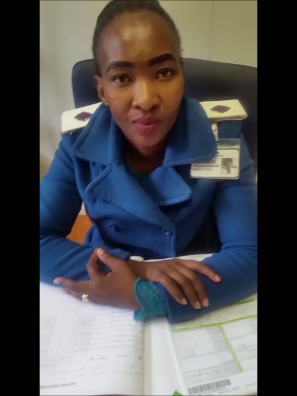 Pharmacies within the Morningside and Gallo Manor area’s: ladies working behind the OTC counter have received feedback regarding acne conditions having improved. The one assistant tried it herself and said: it works (acne related). 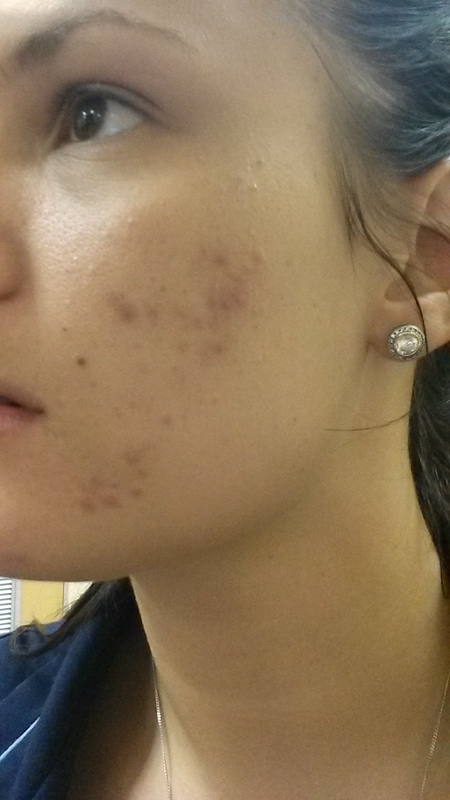 Bryanston area: results of pigmentation, acne, dry/flaky skin improvement and clearing of a facial rash. A gentleman used the same shaver on his head as his son without washing the blade (his son has ringworm)…Weleda Bryanston gave him a sample of Skleer to alleviate the dad’s symptoms of what seemed to be the start of ringworm as well – the father was amazed at the results and returned to buy a 30 ml tube for his son. Bennetts send me....and I want to share something. I have been struggling with my skin for a year now. After pregnancy and breastfeeding, my face kept op breaking out. I used every product you can think of and last week friday, Sia, pharmacist from the pharmacy in Killarney Mall, Killarney, Johannesburg gave me a skleer sample.....oh my word. I am in love. What an awesome product. I would like to send you before and after photos. You will not believe your eyes. Where can I send the pics to? 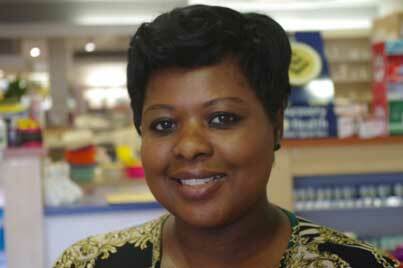 A pharmacy in Primrose had a mom come back looking for product as she used a sample on her son who burnt himself. Skleer is an excellent product. I have been using it for a month now and found that it completely cleared my breakout. What I love about it is that I can apply it over make-up and it does not leave a crusty white residue so I can use it during the day. Julia’s findings from using Skleer are favourable, thus resulting in her wanting to stock the product. Comments about the product: lightened uneven pigmentation marks as well as stretch marks, resulting in her skin looking more radiant (thus her veins are not as visible). 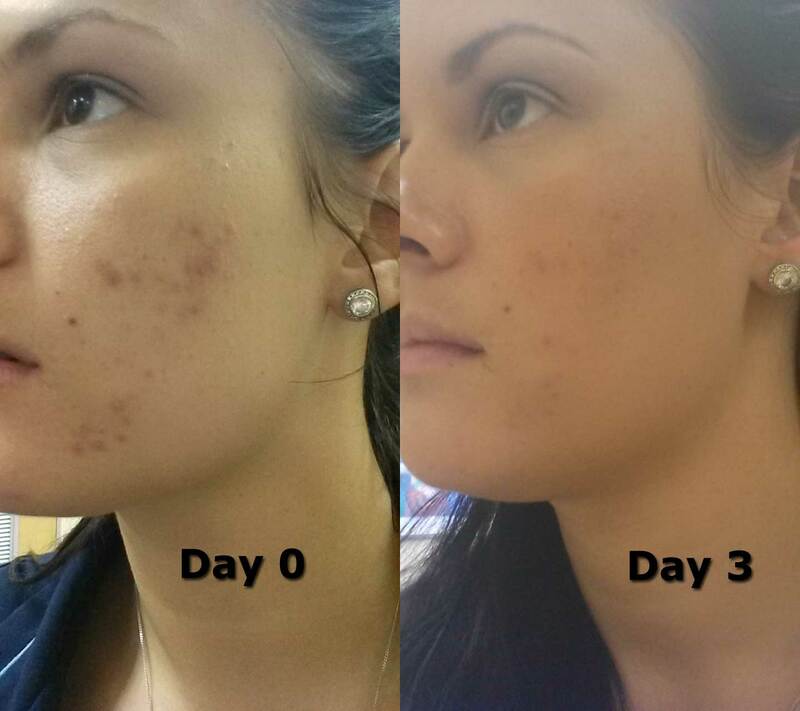 She tested Skleer on one of her clients (a gentleman) and within 2 days, his acne had cleared. Branching off of the email below regarding Lesego who drove through to Bennetts this morning to purchase 2 x Skleer 30ml’s – Lesego is absolutely amazed at the product and results obtained from using the 10ml sample alone. As mentioned by Morris, she was going to have a chemical peel until she grabbed a handful of samples to test on herself, family members and friends. Feedback from her one friends has been nothing but praises (as described by Lesego, this Indian lady had extensively damaged skin - sun and age spots). Have a lovely afternoon. Agnes made mention of two customers in particular who used Skleer – firstly a mom who took a sample for her teenage son’s acne which cleared and secondly an elderly gentleman’s problematic eczema in the creases of his inner arm and behind the knees was relieved. Just to let you know. I gave all the telesales girls at Alpha EC a sample and did a small training all very impressed. Told them my cat story..By the way my hand is totally healed. My reps daughter put it on a big pimple - pimple was gone by the next day... l like this product. To be honest, thought it was just another... """miracle cream""" but now I know it is. 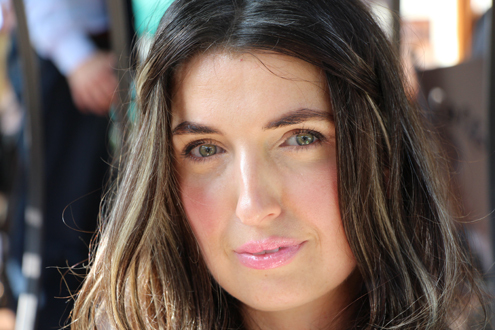 Dominique from Skin & Nail Lounge: quote - "I LOVE THE PRODUCT"...has helped clear her blackheads and acne. Monica (employee at Husted's) gave a sample to her cousin who suffers with acne and noted it improved her condition. Rebecca from Rebecca's Beauty Salon once again commended Skleer for relieving her symptoms of an itchy back. Loretta (an employee) says Skleer cleared her condition of flaky skin on her face. Two ladies who attend Rebecca's church - one with acne and the other used a product that burnt her skin praise Skleer for repairing these symptoms. Skin Sense Day Spa: Jill was "day off", however I managed to speak to Mya who informed me that a work colleague (Amber - off sick) who had ringworm, went to the doc for meds which didn't help - she decided to try Skleer and it disappeared. They are all impressed. 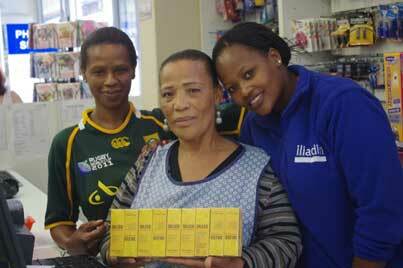 Morningside Dispensary: Terry, Minnie, Lucia, Shelley and Dipuo all agreed and I quote: "THIS PRODUCT IS EXCELLENT". Helped them with uneven pigmentation (sun spots), pimples and black heads. I would like to commend you on your product, have been using it for a month now and am so pleased at how quickly and effectively it works. I have regular break outs and using the gel as directed clears them up within a day. It's absolutely the most effective acne product I've ever used. It works in 12 hours, my acne goes away. I can have a total breakout and in 24 hours Skleer makes my skin completely flawless, which is very impressive, no product has been able to do that for my face. It gives me a clear complexion, gets rid of rosacea, red marks, any kind of mark I have on my face or on my body. It's the most amazing acne product I've ever used in my life, I've completely changed my skin quality, made my skin blemish-free, it's just a little miracle product, and I would recommend it to anyone I know. What a fantastic product. I was very surprised by how quickly the product works for blackheads and pimples. I have an oily skin around the nose and chin area and have been using the product with good results. The product does not dry out the skin and has a pleasant smell. My husband is using the product for after he has shaved and no more redness or ingrown hairs. My little one (2 years) comes home from day-care she has little cuts and I use the product and within a day or two its healed. I will definitely recommend the product to all my friends and colleagues. Just thought I'd give you some feedback. I suffer a little from Acne skin and Morris gave me a tube of the Skleer, I used it last week (as my skin was breaking out) and it cleared the breakout in a couple of days and actually made them smaller. So it looks like you have a very good product on your hands... I will keep using it and let you know how it is working. Hey everybody out there. Ive just come across this amazing product for Acne and Pimples. I put in on twice and in 48 hours my face was clear. Amazing product. Try it, you won't be disappointed. Attached you will find the file from our spot this morning. It will run again tomorrow at 8:34 am ET and three times on Saturday we do not have the times yet. As an additional bonus I got Mr. Harvey to use his social media platforms to post about SB and the brands. They posted today and will be posting again tomorrow and Saturday. This will give us more exposure to an additional 4M followers. The ladies keep emailing us for more information about your product! It is amazing I am hoping they are converting over to additional sales. Sorry for the delay on securing a date for our radio spot. We will be on this Thursday, June 25, 2015. I am still waiting for the time, however, the producers are giving us the prime spot! As a bonus, we will record the spot as a billboard and run it again three more time!s!! We are shooting for Friday and Saturday, June 26, & 27th. So plenty of airtime! I have another bonus in the works, I just to confirm one more detail then I can share the good news!